Bali has become insanely busy for tourists over the years, with its proximity to Australia it’s no wonder it’s becoming a very popular holiday destination for Aussies. But, of course, you’ll find all nationalities that have been lured in by the tropical climate, beaches, and cheap living. The state of overdevelopment hasn’t deterred many from visiting and often when tourists land they’ll want to explore the island. 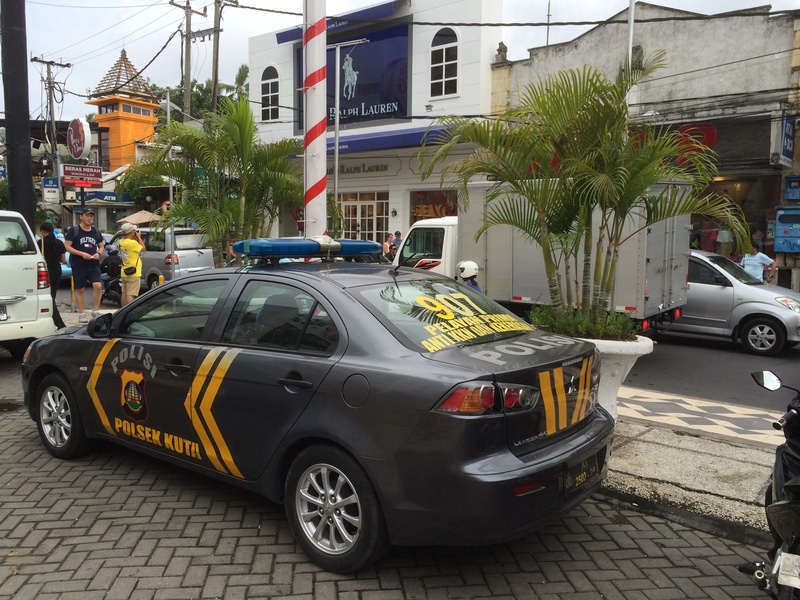 Whether you choose to hire a motorbike or car, you’ll soon run into Bali’s notoriously corrupt cops out for some quick bucks. They will specifically target tourists because they are unaware of local laws, don’t speak Indonesian and of course, walking ATM’s to the local cops. Often, they’ll pull you over and ask to see a local Indonesian driving license, which of course they know you don’t have. Now, it’s because of my first few stings that I always bring with me an international driving license. The more documentation you bring with you the better. If they are still insistent on you handing over some money, you can either stand your ground or just hand them over what you have in your pocket to be on your way. For the latter, I make sure I only have a small amount of Indonesian Rupiah and don’t have any credit cards or other forms of ID they could hold to ransom. Often, they’ll just tire of trying to extort you for more money and let you on your way. Another inherent danger of visiting Bali, is Bali belly. Whilst, you can never get bored of those sumptuous Nasi Gorengs, get a bad one and you’ll be wishing you never set foot in that dodgy warung, down the road. For this reason, I’m very careful to do some due diligence on the places I choose to eat, and if I’m not confident in the hygienic practices of the kitchen I’ll simply go to the supermarket and shop. Need to go somewhere fast on the island, you can pretty much forget about it unless you’re only traveling a short distance from the airport to say the Bukit. 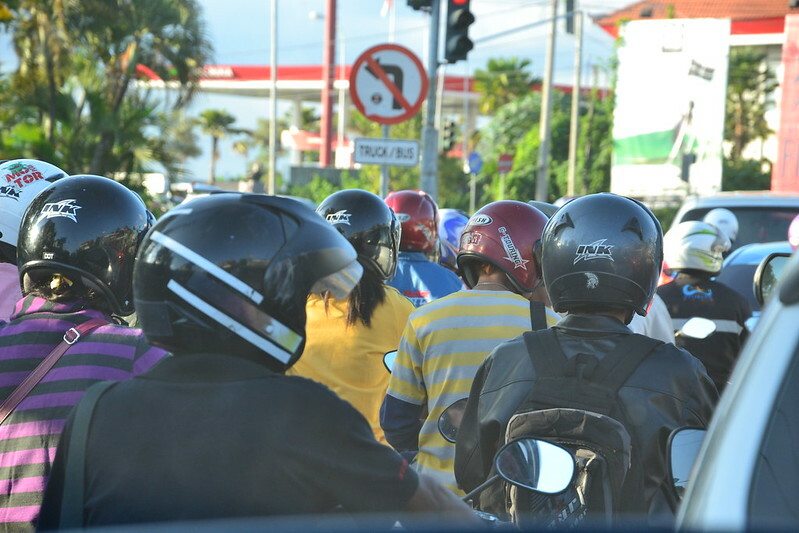 Renting a motorbike sometimes helps in this respect, but the way the Balinese drive is also fought with dangers when riding one. For this reason, it’s best to set out super early if you’re heading somewhere of substantial distance. The crowd factor in Bali has to be at an all-time high these days. Whether that’s on Padang Padang beach, or in the line-up. It seems every man and his dog wants a piece of the action. Expect a lot of hostility from other surfers, and not necessarily locals, often foreign surfers are just as worse. Even if you wake up super early, guaranteed the likes of Ulu’s, Padang Padang, Canggu etc. will already be more surfers out than you’d like. It’s for this reason you need to be careful with the time of year, avoid long holiday breaks such as Easter, Christmas and especially “Schoolies” when young Aussies come over and cause havoc on the island. Even if you pick a low season time to visit, chances are people will have had the same thought and you’ll still have to contend with the crowds. Both land and sea present certain dangers on Bali. The land, because of the way people drive and this often encourages the same reckless behaviour in foreigners as well. The sea, because many surf breaks have sharp coral which is easy to cut yourself on if you’re not wearing booties. If you do get a reef cut, make sure you treat as quickly as possible. Stay out of the water and ideally out of the country as the high humidity will create problems for the healing. General: Bali is a tropical island in Indonesia. It is a very popular tourist destination and is known for its volcanic mountains, iconic rice paddies, temples, beaches and reefs, wildlife and meditation/yoga retreats. 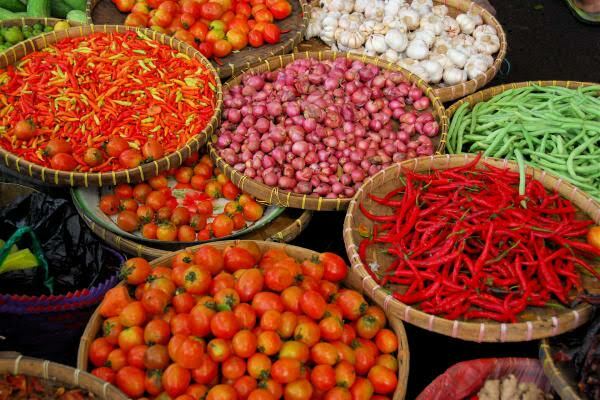 Although, Balinese is the official language, common use language on the island is Bahasa Indonesian and English. Currency: Indonesian Rupiah. Prices are comparitively cheaper to most Western countries. Expect to barter for goods and services. Getting there: There are regular daily flights from low-cost carriers such as JetStar, AirAsia etc. within Asia. Most major airlines will also have routes, usually indirectly via Jakarta. Surfer, snowboarder, and digital nomad. Dominick is passionate about the ocean and environmental conservation. A firm believer in small actions affecting big change, he has set-up Shaka Surf an eco-surf online store. A percentage of profits go towards carbon offset initiatives and environmental charities.